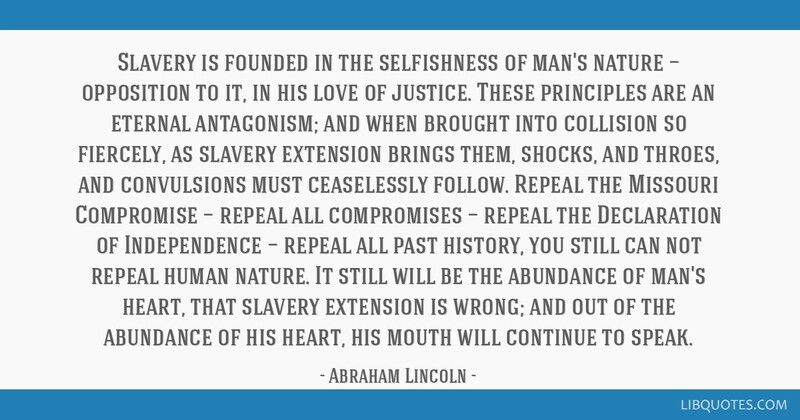 Slavery is founded in the selfishness of man's nature — opposition to it, in his love of justice. 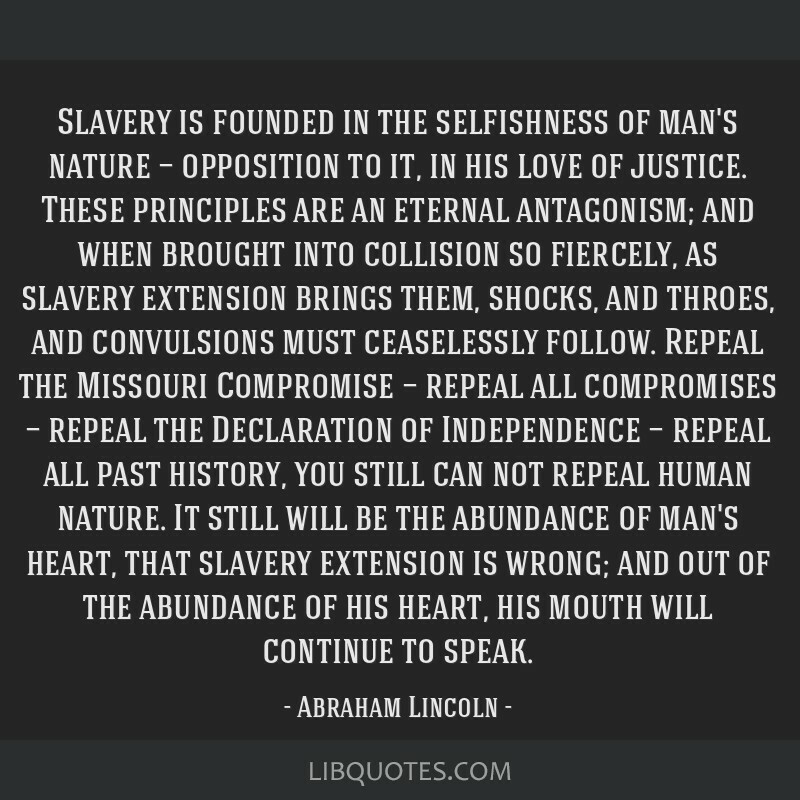 These principles are an eternal antagonism; and when brought into collision so fiercely, as slavery extension brings them, shocks, and throes, and convulsions must ceaselessly follow. 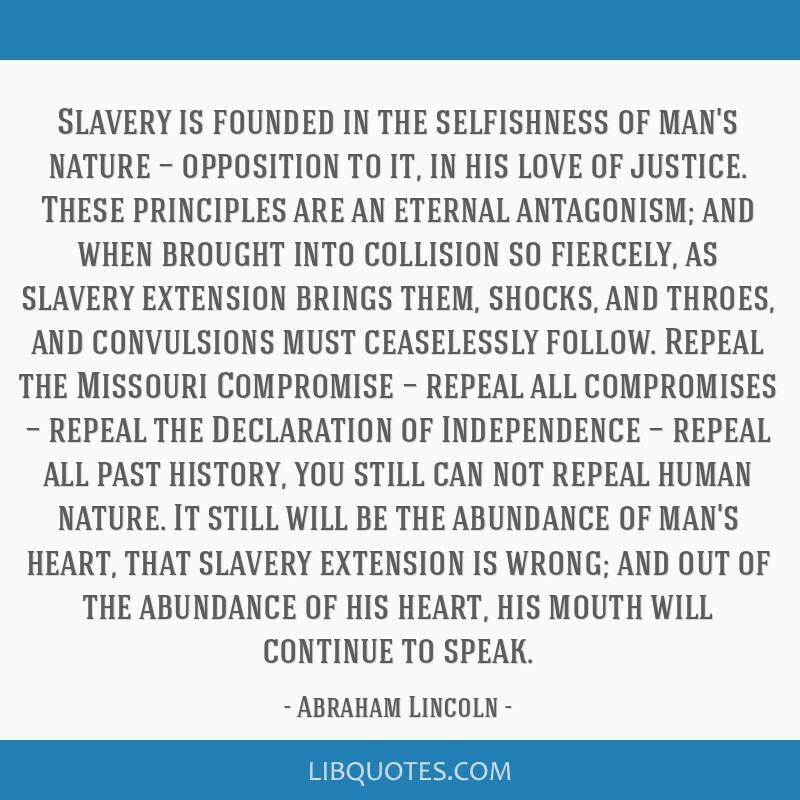 Repeal the Missouri Compromise — repeal all compromises — repeal the Declaration of Independence — repeal all past history, you still can not repeal human nature. 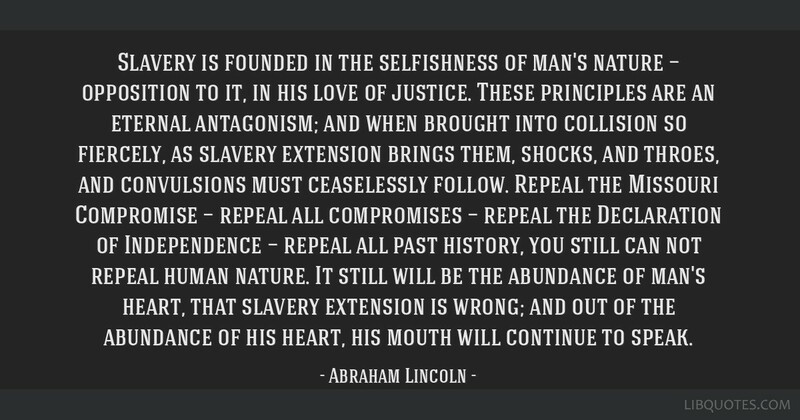 It still will be the abundance of man's heart, that slavery extension is wrong; and out of the abundance of his heart, his mouth will continue to speak.